The real estate market has stabilized. We are getting more of the distressed properties sold and out of the bank system. It was predicted that Shadow Inventory (foreclosed or ready for foreclosure homes) would flood the market. Well, it never happened. Foreclosure filings in Connecticut dropped sharply in 2011 compared with the previous year, plunging 48%, according to RealtyTrac. Perhaps the most dramatic increase has come in the market for land sales, again indicating an increased optimism on the part of builders and their customers. The median sale price for the 3 lots sold in 2010 was $1,025,000. For 2011 the median price fell 31% to $700,000 and builders did respond, buying 19 lots this past year, an increase of 533% in volume. New construction activity has picked up as a result; builders are buying land at a cost that makes sense to build, primarily midrange homes. Owners losing their homes due to foreclosure and short sales can only rent. Tough lender qualification requirements, causing fewer buyers and more renters. Many have lost their equity in real estate and stock market = no down payment to purchase. Many have damaged their credit and will not qualify to purchase. Many have lost their job and are not able to get a loan. The rental market is staring to produce much better cash flow and investors are actively purchasing more rental real estate. Interest rates broke their historical lows of 2004-2005. The rates on average are about .5% to .75% below last year rates. A sample of rates as of first week of November 2011 with zero points: Loans under $417K=3.87% (conforming loans). Loans between $417K to $625K=4% (this is the new Jumbo conforming) Loans above $625K=4.5% (this is Jumbo loans). This year was a much better year than last year and we expect it to continue to get even better next year. The reason? We're experiencing an improving economy, lower interest rates and an upcoming presidential election. Historically, presidential elections bring about increased real estate activity, and coupled with low interest rates and increasing consumer confidence, it will help the New Canaan market to continue to grow in the coming year. Wishing you and your family a prosperous 2012! 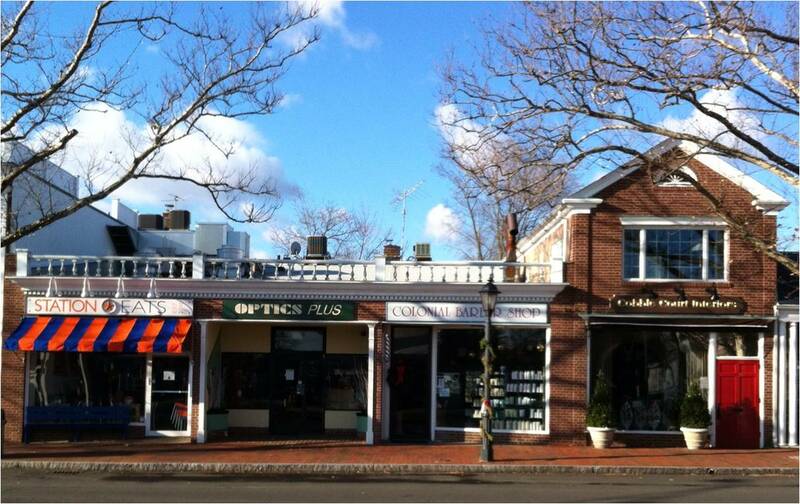 15 South Avenue is a fully leased, 4,390 square foot, four tenant retail building situated on .081 acres in the heart of the downtown shopping district of New Canaan. The asking price is $3.95 million. For more information on this or similar buildings in New Canaan, give me a call at Brotherhood & Higley (203) 966-3507 or email me. New Canaan Home Sales: What Sold in 2011? Days on market fell since this time last year, 5.64% average and 7.14% median drop. And, although not shown on this report, the Absorption rate shows we are down to 12 months of inventory, down from 14.4 months.